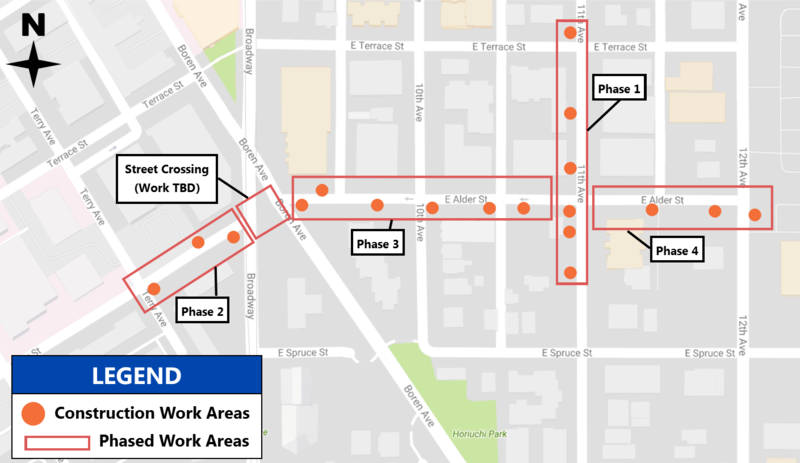 Starting in mid-to-late January 2017, Seattle City Light will begin replacing aging utility poles and its associated infrastructure in parts of the Chinatown-International District and Yesler Terrace neighborhoods. The project will upgrade aging infrastructure and the existing electrical system. The project entails replacing utility poles, overhead wire and equipment on 10th Avenue South and South King Street. Crews will reduce traffic and parking impacts by working in one area at a time. “No Park” signs will be enforced in work zones. These signs will be removed once work has been completed. The new utility poles will be placed alongside pre-existing poles. Pre-existing poles will be removed once the transfer of all utilities is done by other companies. 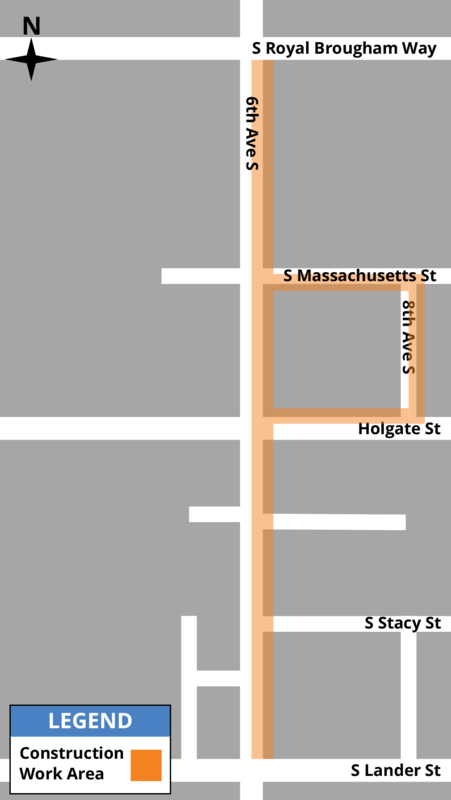 Seattle City Light will monitor these efforts to facilitate the removal of old poles. Maintenance power outages are required to do the work safely. Notification will be provided in advance of any outage. The notification will specify the date, time and duration of the outage. Daily work hours are scheduled from Monday to Friday, 7:00 a.m. to 5:00 p.m. Nights and weekend work are possible. The entire project is expected to last approximately six to eight months. Visit Seattle City Light’s construction website for the latest updates on this project: http://www.seattle.gov/light/atwork/release.asp?RN=379.